It’s 2015 and I figured I’d start off with something quick, fun and colorful! 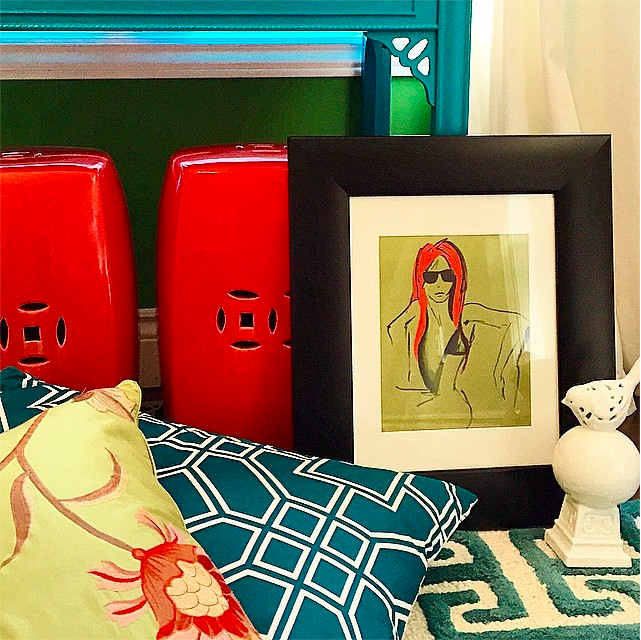 Here’s a snapshot of what’s in my daughter’s bedroom…some fun, bold colors and patterns with a little fashion thrown in, of course! 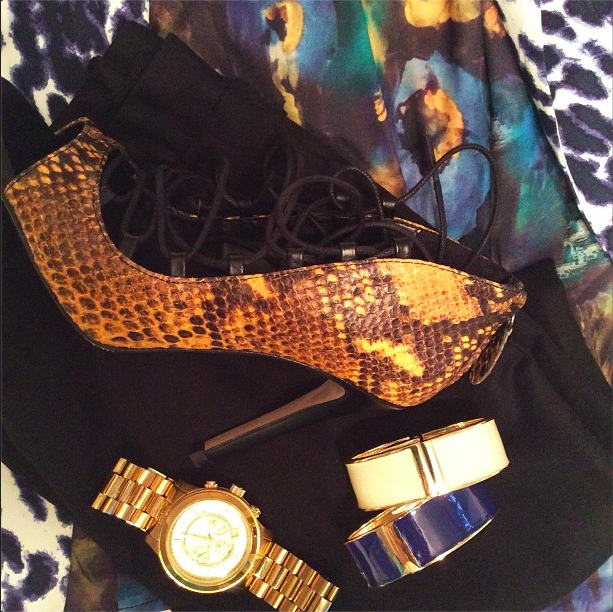 Don’t be afraid to take the leap and mix it up! For those of you who know me, I’m always saying to just go for it. 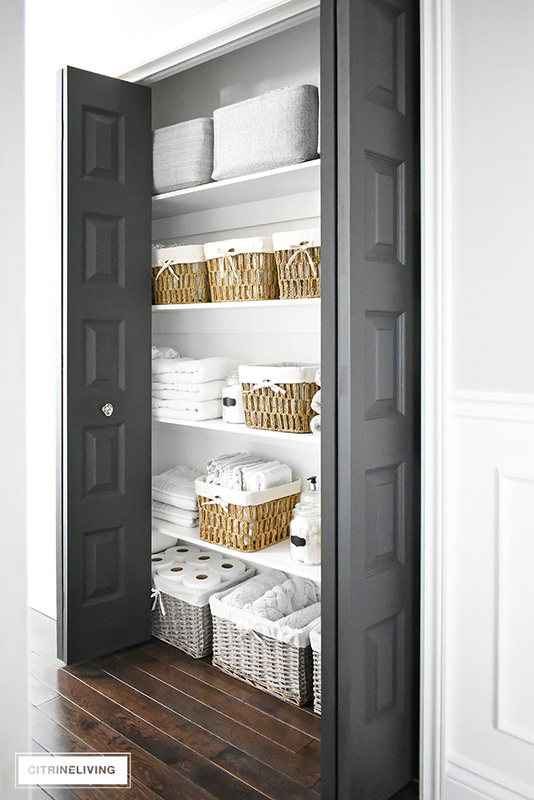 Spaces like kids rooms, powder rooms and front entrances make for a fabulous place to experiment. Take a look! 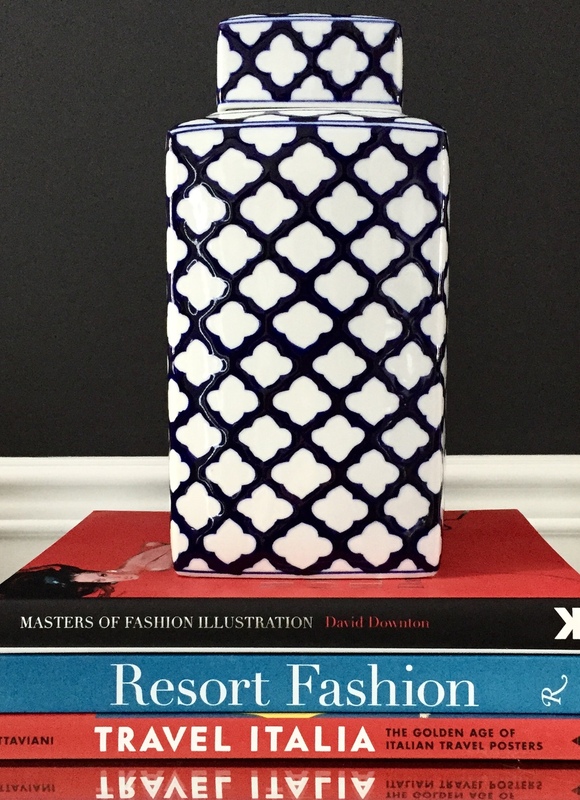 I love to mix tones that are similar in value…here are some beautiful books topped with my moorish patterned ginger jar. 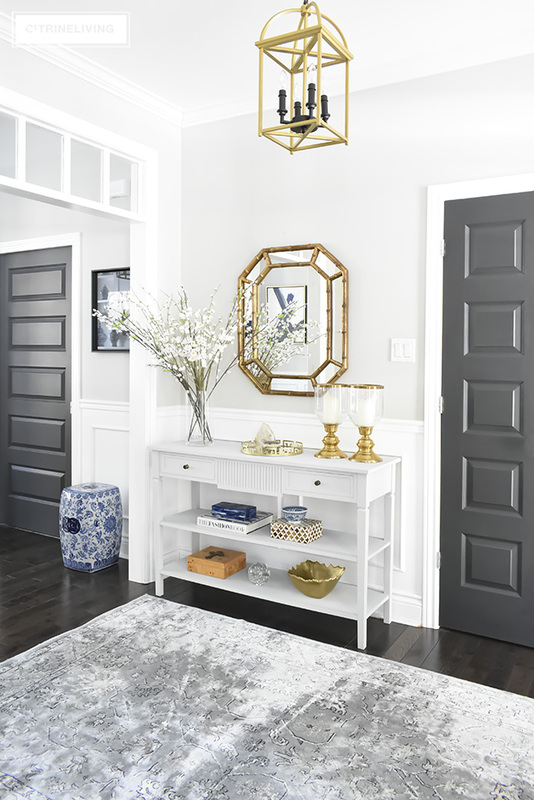 You’ve seen this entry table a few times by now! 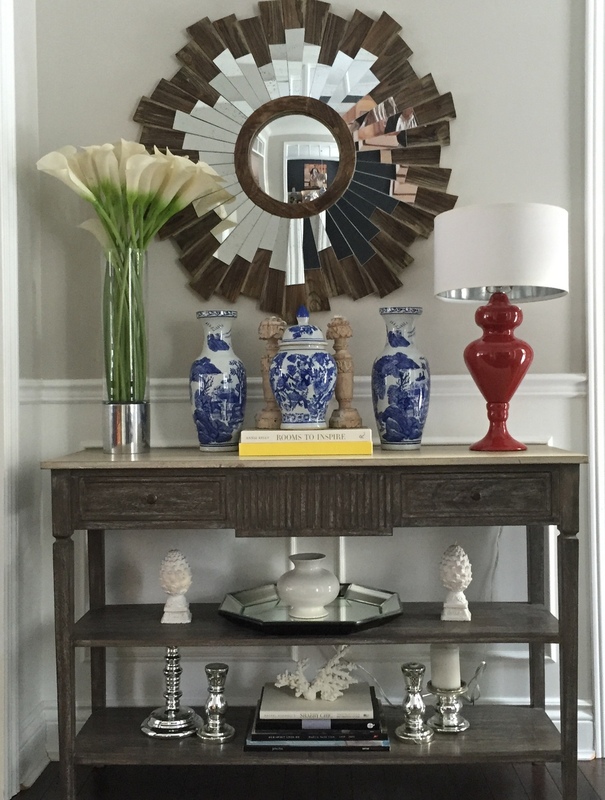 Here, I’ve added some blue Chinese vases…so we have yellow, red, green and blue – all thrown in with an otherwise neutral mix of pattern and texture. Notice how the table top is the focus and everything else fades somewhat, yet there are so many interesting things happening…please ignore the plug hanging, no Photoshop here!! 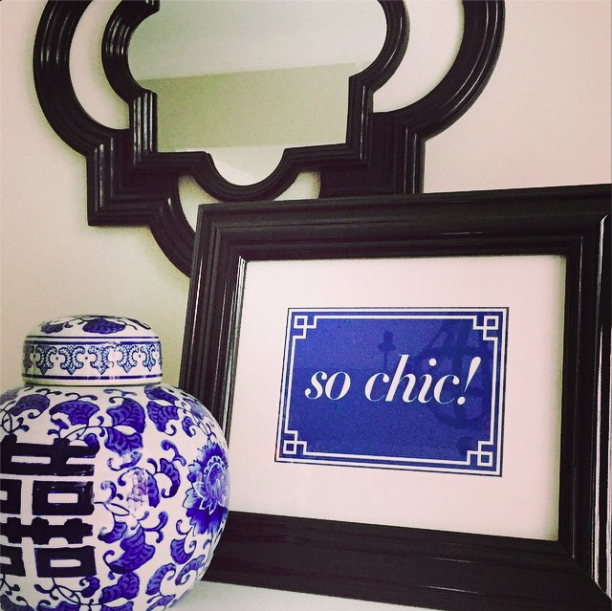 One of my typographical prints sits next to my ginger jar…black, white and a jolt of cobalt is so very chic! 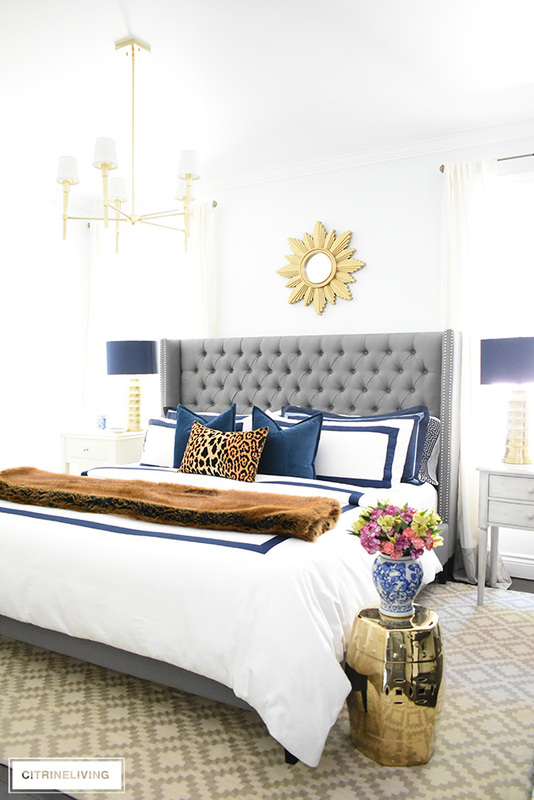 A photo from an old post about mixing and matching pattern and color. Love! 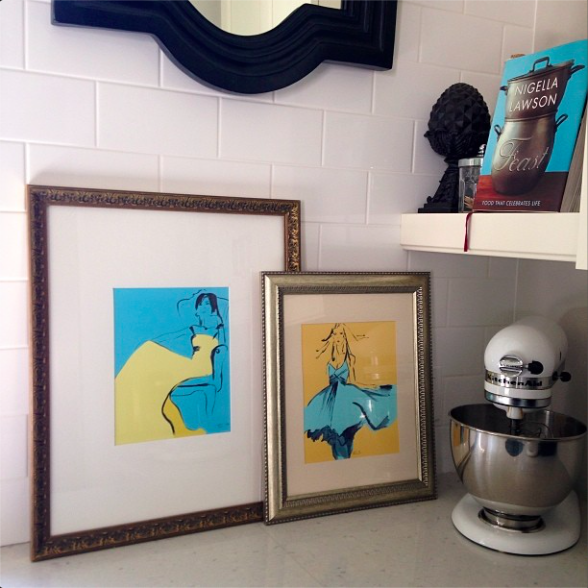 Some more of my drawings in my kitchen…who knew fashion and cooking went so well together?! 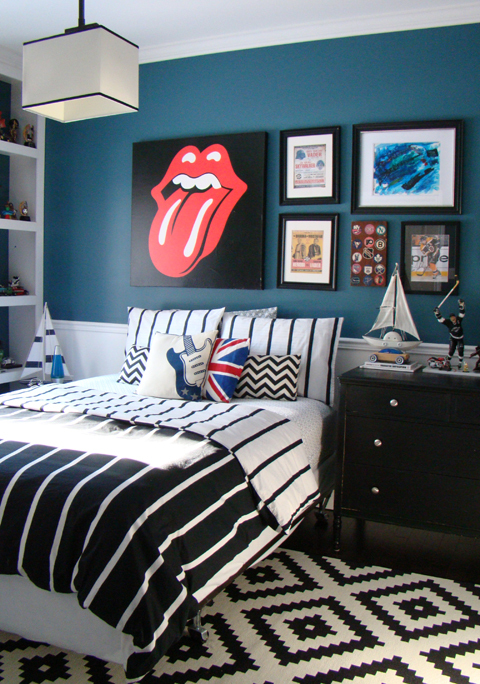 Here is my son’s room with the massive Stones print as the focal point. 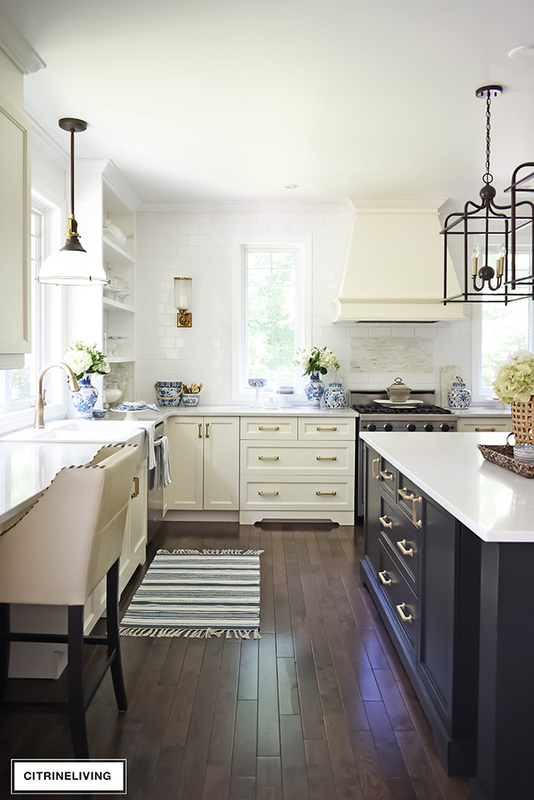 Notice again all of the different prints and textures that live together very happily! 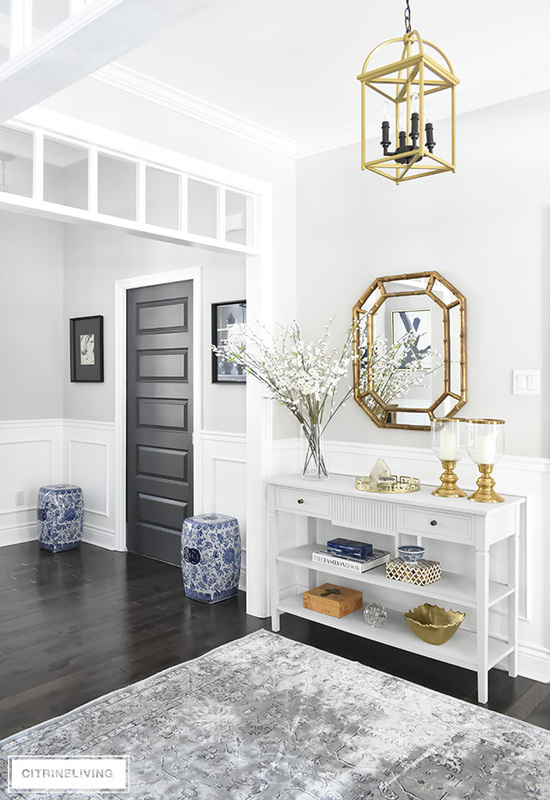 There’s a quick roundup of some ideas I’ve shared before and a few new ones to get you started this year…I say go for it! What do you have to lose? 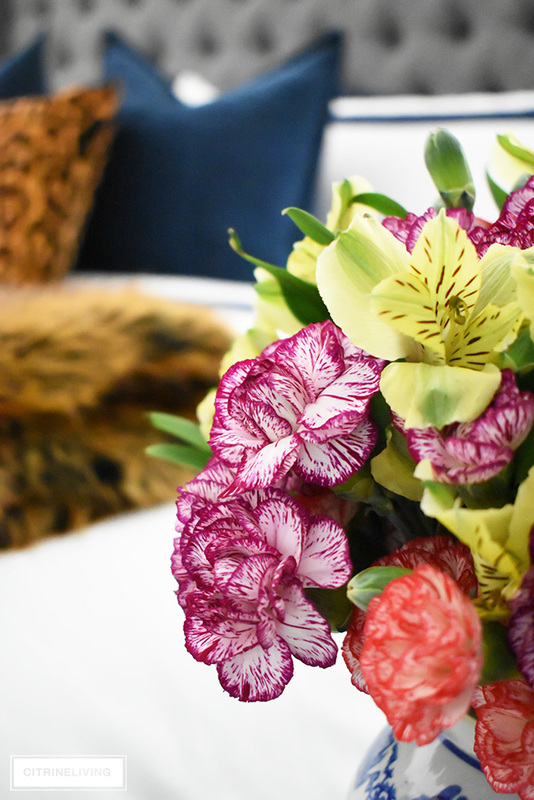 Big changes are here for me this year, in so many ways…stay tuned! Oh and Happy New Year !